Fully revised and updated. Now with new Discovery Tours chapter. 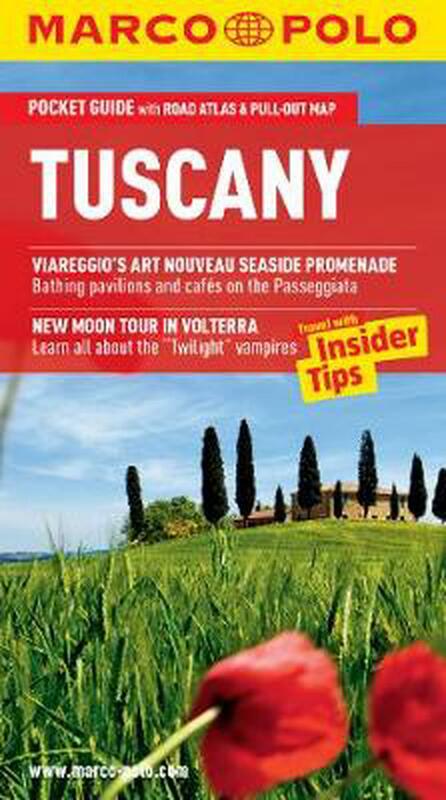 With this up-to-date, authoritative guide you can experience all the places and sights of Tuscany. MARCO POLO Tuscany: the Travel Guide with Insider Tips With this up-to-date, authoritative guide you can experience all the places and sights of Tuscany. You can discover lovely agriturismo farms, authentic restaurants, find out about festivals and events and pick up shopping tips. The Perfect Tour takes you to all the important places in Tuscany, and the chapter Links, Blogs, Apps & More directs you to the most useful sites and apps on the net. Also contains: Trips & Tours, Sport & Activities, Travel Tips, Travel with Kids chapter, What's Hot and index. There's hardly another region in Italy which is so utterly enchanting: Chianti, sandy beaches, lines of cypresses, the Leaning Tower... Tuscany. But there are also forests full of game, mountains rising up to 2000m (6560ft) with hiking trails and even ski runs.The practical travel guide, small enough to slip into your pocket, takes you to landscapes of beguiling beauty, to world-famous towns and villages, like sets for historical films. The "Best Of" pages recommend things which are unique to Tuscany, give you tips about great places for free, and tell you what to do on rainy days and where you can relax and chill out.The Insider Tips tell you where you can obtain Tuscan caviar and where you can find monastic peace and quiet. The Low Budget tips in each chapter show you how you can experience a great deal with very little money and snap up some real bargains. Trips & Tours take you on two wheels through Chianti or on foot through the Marble Mountains. The Dos and Don'ts advise how to avoid putting your foot in it when you go to a restaurant. MARCO POLO Tuscany gives comprehensive coverage of all parts of the region. To help you find your way around there's a detailed road atlas, removable pull-out map and practical map inside the back cover and a street atlas of Florence.